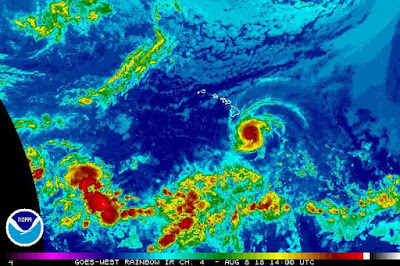 Hurricane Hector Wednesday morning, NOAA Hurricane Hector, a major storm in the Central Pacific, has maintained its strength as it continues churning closer to the islands. At 5 a.m. Wednesday, the storm was packing maximum sustained winds of 125 miles per hour, with occasional higher gusts. Hawaii News Now.